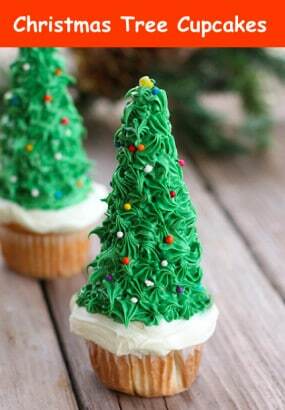 There’s not nearly as much frosting on these very cute cupcakes as you might think. The secret is an upturned ice cream cone! With just a little practice with an icing bag, you’ll be turning out these cool little cupcakes just in time for that upcoming party! The inventive people over a Tablespoons will delight you (that’s right, we said delight) with their offerings. The white icing looks like a fluffy bed of snow gently holding a Christmas tree. Trim your icing tree with sprinkles of bright colors and ta-da – sweet little sweets.